The Canterbury Rams would like to announce the return of Taylor Britt, for the 2019 Sal’s NBL Season. This announcement comes as new Rams head coach Mick Downer’s fourth player signing. Taylor is currently playing for the Canterbury Knights. Taylor Britt was an important piece for the Rams in 2018 and he will return for his third year as a part of the Rams. Taylor’s basketball commitments pre-Rams season sees him in as an instrumental player in the Canterbury Knights where they are preparing for a trip to Melbourne in early February. Taylor was also a part of the New Zealand Select team who toured China last year. His played his college basketball at Southeast CC. On a recent trip to Christchurch, Rams head coach got to meet, and workout Taylor and he was impressed with what he saw. 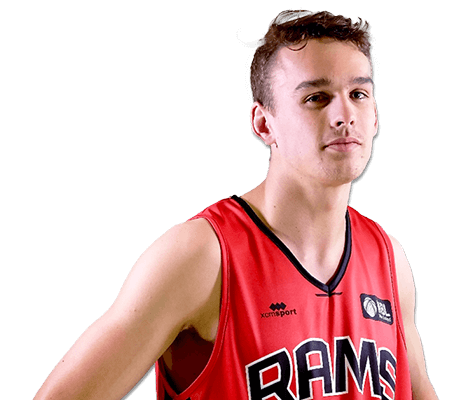 Taylor is very well known to Canterbury Rams fans having played for the side in 2018 and also being involved in many community activities and coaching at various basketball events around the city. Taylor also plays for the Wolverines men’s premier team in the Canterbury Basketball Association club basketball league. He is known for his quickness, mid-range jump shot and being a crafty finisher in and around the paint. The Canterbury Rams have been revived by a group of basketball enthusiasts with a combination of business and basketball acumen and experience who are committed to establishing a long-term and successful Canterbury Rams franchise that plays a significant role in increasing the numbers participating in community basketball, provides an aspirational development pathway for our talented Canterbury youngsters and contributes to community re-development in Christchurch. For the Rams to contribute significantly to the growth of basketball throughout the region with a highly performing and well run elite team greatly enhancing the profile and popularity of basketball. For the Rams players and coaches to directly benefit junior talent through the region. Youngsters throughout the region will receive coaching from high quality coaches and their heroes, inspiring them to work towards their goals. The support the Rams receive through physiotherapy, podiatry, strength & conditioning, nutrition and sport psychology will also be provided for young up and coming juniors in the region. The Rams will provide a pathway, exposure and access for a significantly greater number of Canterbury players to play successfully at the higher levels. For the Rams to facilitate and provide development opportunities and a pathway for coaches throughout the region. By supporting regular group coaching clinics and mentoring opportunities for the coaches in Canterbury, the sharing of knowledge will raise the standard of basketball. Coaches will get access to the latest coaching methodology and through a common goal of developing basketball players, Canterbury’s coaching network will continue to grow. For the Rams to assist in providing a development pathway for young talented players who currently struggle to participate due to the extensive financial commitment required through the establishment of a Rams ‘scholarship’ system for promising players that puts a mentoring and financial support structure around them as required. For the Rams to make a major contribution to not only the basketball community but also to the Christchurch re-build through bringing an outstanding entertainment option to the city and contributing to the development of best practice basketball and community programmes. Keep up to date with all the latest news, offers, and competitions sent directly to your inbox.